From Massive Multiplayer Online to First Person Shooters, Logitech has created mice for each of these genres. 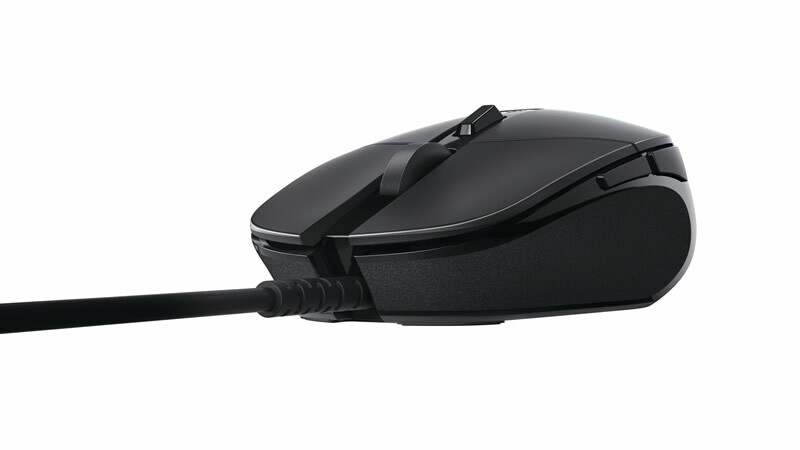 With the rise of Multiplayer Online Battle Arena (MOBA) games, it is no surprised that Logitech has also created a mouse for MOBA gamers called the Logitech G302 Daedalus Prime Review. First impressions of the Logitech G302 Daedalus Prime is that it belongs to the entry level consumer class mice range rather than the serious gamers group. 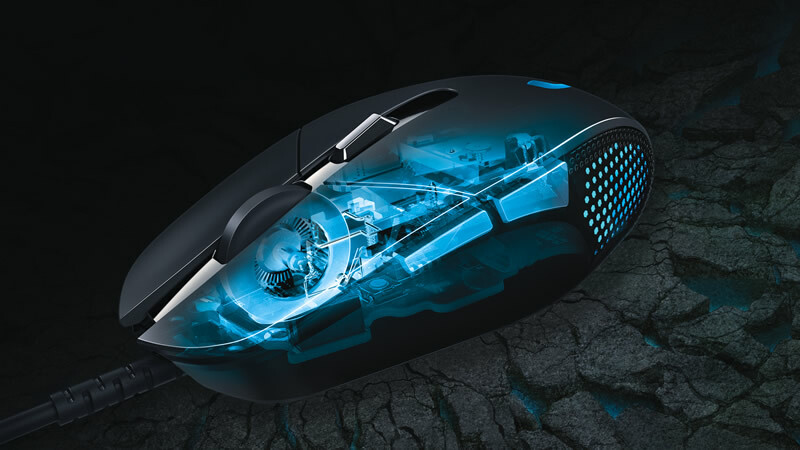 Yet what lies under the simple shell of the mouse are exclusive metal spring tensioning system for consistent rapid-fire clicking, 4 adjustable DPI settings and Logitech’s own Delta Zero sensor technology for pinpoint accuracy. The Logitech G302 Daedalus Prime has also been designed for and tested by pro eSports gamers from Team SoloMid, Cloud 9, CJ Entus Frost, CJ Entus Blaze and Invictus Gaming, making the Logitech G302 Daedalus Prime sounds like a dream come true for MOBA gamers out there. But how well does the Logitech G302 Daedalus Prime perform in real day to day activities? Well after using it for a month, I can tell you that the Logitech G302 Daedalus Prime is now a permanent companion for my laptop. Whether you are a heavy office user or a gamer on the go, the lightweight and compact design of the mouse means it packs easily into laptop bags and doesn’t add too much weight like other pro grade mice. Yet it still feels nice to hold and use, thanks to the ability to change its DPI and the way it’s constructed. Even clicking on the Logitech G302 Daedalus Prime feels good thanks to its tuned metal springs that make anything that requires lots of clicking a pleasant experience. I have always been looking for a mouse that can partner my laptop whether it is office work or when I am gaming together with friends. I am happy to say that I finally found it in the Logitech G302 Daedalus Prime. Perhaps the only negative aspect of the Logitech G302 Daedalus Prime that I can think of is its SRP of SGD$59.90 which is a little on the expensive side… and that is really pushing it. But of course, resourceful consumers will know places like Challenger (where I got mine) will give 5% discount for its members which makes it a very good deal. You can also try to find it at a cheaper price at Sim Lim Square but remember that this mouse already comes with proper distributor warranty and doesn’t need any costly warranty add-ons. So if you are looking to upgrade your stock laptop mouse or looking for that Christmas gift for a gamer friend or someone who does a lot of clicking in his or her work without breaking the bank, the Logitech G302 Daedalus Prime is the mouse to go to. Images courtesy of Logitech Singapore.